Chicken Express – providing fast, friendly service of the best quality food! Home of the legendary Express Tenders® and Chicken E® Sweet Tea! 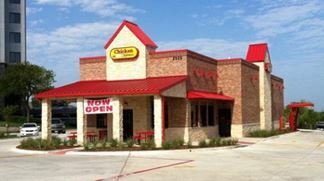 Chicken Express is growing fast and adding stores all over Texas, Oklahoma, Arkansas and Louisiana monthly. Below are some recent store openings. Visit soon and try our legendary Express Tenders and Sweet Tea for yourself.